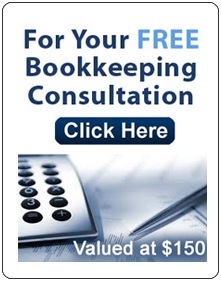 Tax Court of Canada appeals | Global Taxation & Accounting Service Inc. 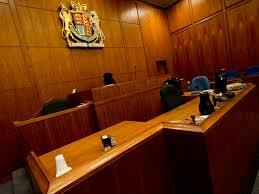 The Tax Court of Canada is the youngest superior court in Canada. The Court jurisdiction includes the hearing of appeals from assessments under the Income Tax Act, the Excise Tax Act (Goods and Services Tax ( GST/HST ), the Employment Insurance Act and the Canada Pension Plan, among others. The Tax Court of Canada was established in 1983 pursuant to the Tax Court of Canada Act. The Court is independent of the Canada Revenue Agency and all other departments of the Government of Canada. The Tax Court of Canada is a superior court to which individuals and companies may litigate with the Government of Canada on matters arising under legislation over which the Court has exclusive original jurisdiction. The bulk of the appeals to the Court relate to income tax, goods and services tax, and employment insurance. The Court also hears references from the Canada Revenue Agency to provide interpretations of the legislation within its areas of jurisdiction. For Income Tax and Goods and Services Tax appeals you have one year and 90 days from the date of the reassessment or from the date of the confirmation of the assessment to apply. For Employment Insurance or Canada Pension Plan appeals you must request an extension of time to appeal within 90 days after the initial 90-day period expires. An application to extend the time to appeal may be in the form of a letter. The application must include a statement that you are applying to extend the time within which an appeal may be instituted and you must give the reasons why it was not possible to appeal within the deadline. The original application and two (2) copies, together with the original notice of appeal and two (2) copies, must be sent to the Registry at a Tax Court of Canada office..
Once the Registry has received your application, it will be forwarded to the Canada Revenue Agency (CRA) for a reply. Justice Canada, which represents the CRA, may respond to the application. If the CRA opposes the application, the Court will schedule a hearing to give both parties the opportunity to present evidence and arguments before a judge. The judge will then issue a decision either dismissing or granting the application. If the CRA does not oppose the application, the Court may review your application without a Court appearance. The decision will be sent to you or your representative. Please contact to our office if you are not happy with a decision of Canada Revenue Agency (notice of reassessment) and wish to appeal to Court. We will help you to appeal an informal procedure in accordance with your supporting records and our experience representative in your litigation.